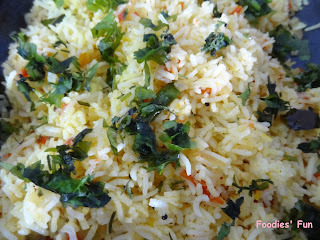 Whenever I am bored of cooking strenuous dish (which I rarely do) or I want to cook something really fast or don’t have much idea on what to cook, this is my saviour recipe- Masala Rice. Simple and Quick cooking does not ward off its delicious tastes... With ingredients ready it will take only 7 minutes to cook this rice. I did not add boiled potato, capsicum and peas because I was really short of time. Surely add them, it will taste good. Drain the water and let it cool for about half hour. Now take a kadai, put oil in it and switch on the stove. As oil heats up, lower down the flame and put mustard- cumin seeds. Let them pop properly. Now add hing, curry leaves, green chilli to it. Saute properly for 1-2 minutes. 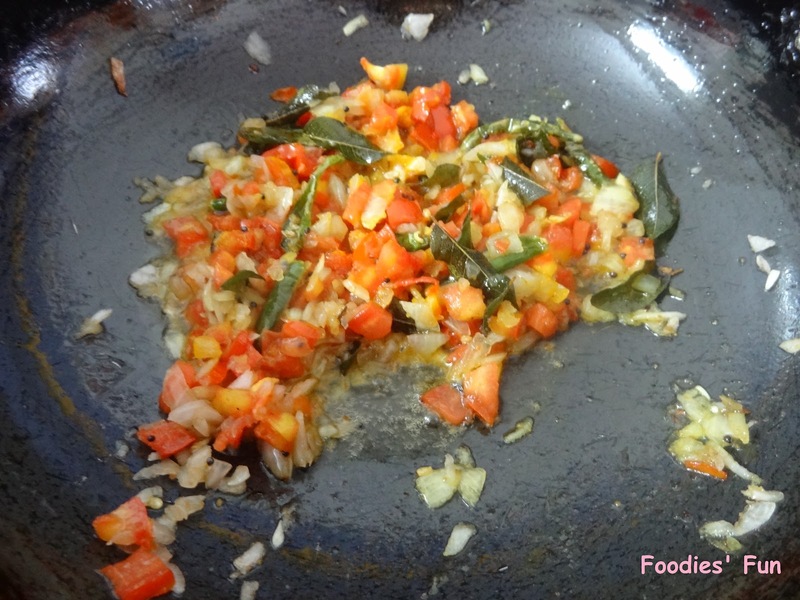 Add chopped tomato & onion, salt, turmeric powder and red chilli powder to it. Sauté again for about 2 minutes. 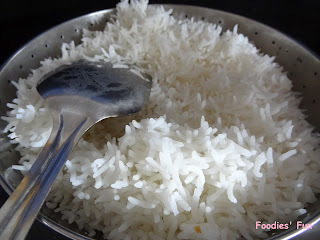 Now add boiled rice to it. Season generously. After it is mixed well, switch off the stove. Ready to be served after garnishing with chopped coriander leaves.